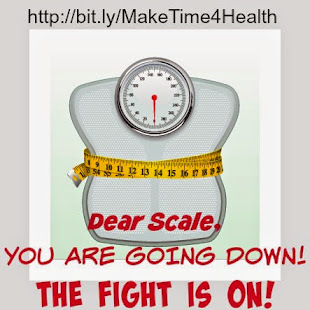 Please know that healthy changes do not happen overnight. 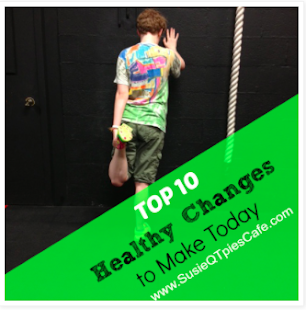 Everything that needs to be changed to be healthy is part of the healthier lifestyle journey. You decide when you want to start taking it. No one else can truly decide for you. You can have people in your environment that will encourage you but they can't do it for you. If you do not have people in your immediate surrounds that can give you support then get yourself around people who are on their journey so you can get support. Keep reading more below and follow the September Challenge. 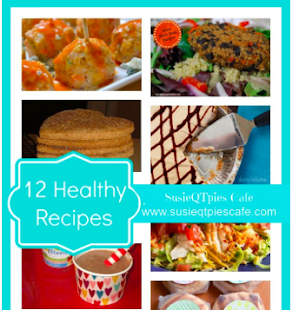 Today I'm sharing 3 Healthy Changes You Can Make Today by Kelley over at The Grant Life. You'll have to click over to read about her journey to know what she is up to. 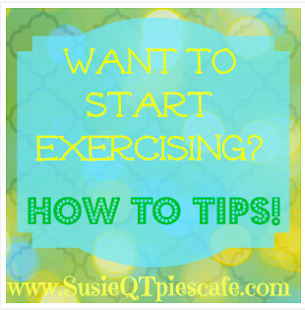 Her post list 3 easy changes that everyone can start doing. These changes can be done, but again nothing is done over night. Every unhealthy behavior we need to change takes time to replace. Please look at where you are and know that you didn't get there over night. Same for making consistent healthy choices, they don't come over night. 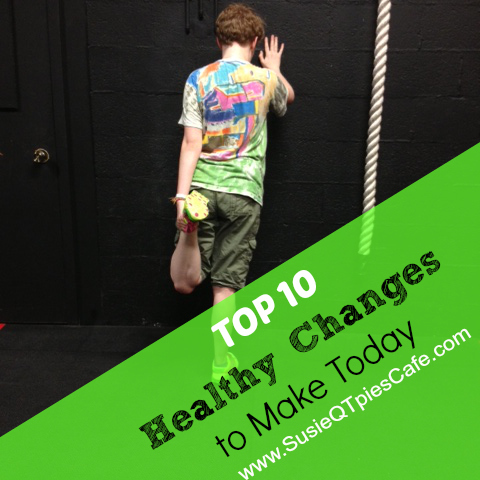 I've combined Kelley's healthy changes and added my own to create a TOP 10 Healthy Changes to Make Today list. Which ones are you already doing? Which ones can you start doing? Do you think that these changes are possible? 1- Drink water - Ditch the soda now! Ditch regular or diet soda or drinks. 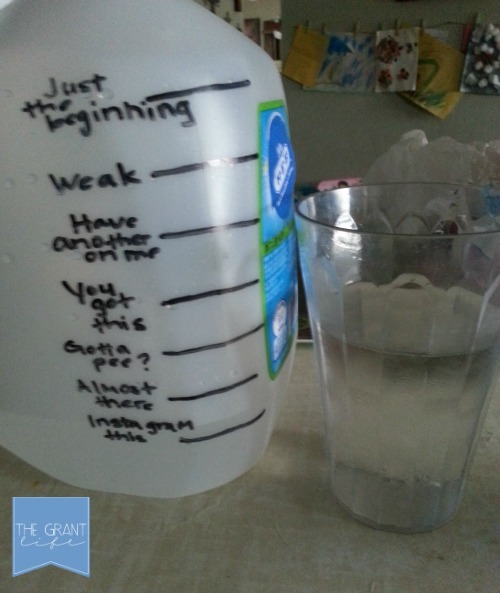 Drink only water throughout the day. Save milk for 1-2 of your meals. Other then that, drink water. At first don't worry about how much to drink, just have water near you and available. Most of the time we think we are hungry but really we are just thirsty. Read Kelley's post and find out what this marked jug is all about! The photo is hers. 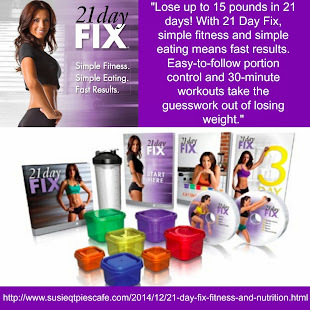 2-Cut food in half- Be honest with yourself. Do you over load your plate at some meals? Cut those in half. Decrease the large portions at any meal. So still have mashed potatoes but just take half of what you use to. 3-Eat what you want- Yes you heard that right. This is probably somewhat of a change if you have it set in your mind that you can't eat certain foods. Allow your self to have small portions of something you enjoy. If you say I can never eat mashed potatoes you will find a way to eat some and even more than you were before. 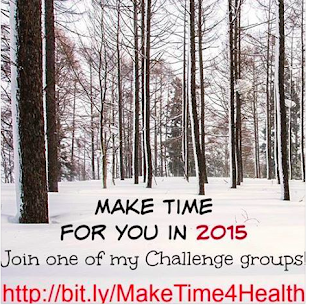 4-Stop out of control eating-If there is a food you can't control how much you eat then for a month do not eat it. Slowly allow yourself a bite or two after a month. See if you have more control, I bet you will. You might not even care for it anymore. 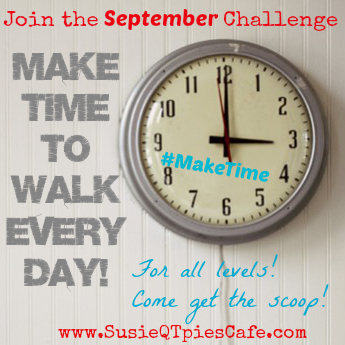 5-Start walking- If you have been following along the September challenge then you will know that I asked those reading to just start walking and moving. It will make a huge difference in everything you do. Every time you walk, walk further or faster. Allow yourself to get out of breath and then slow down. Repeat this over 20 minutes each day. 6-Stop hating yourself-Start looking in the mirror and smiling at what you see. Keep on your healthier lifestyle journey and you will start seeing the smile is less forced. You'll start seeing positive changes in the mirror that will make you smile even more. 7-Find positive support-This might be difficult if you find that you do not have people around you to support you in any of the above. 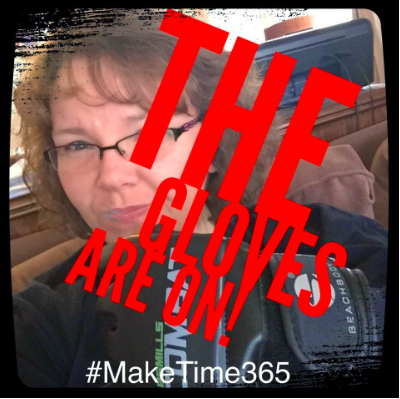 Go online and read blogs like mine, bloggers like Kelley or find apps like LifeKraze where real people are making positive changes. Surround yourself around them and you will get and give support. 8-Allow for mistakes-Yes that seems silly on a top 10 list of this sort but you have to allow yourself to make mistakes and back slide. If you overeat, neglect walking, stop drinking water, or whatever the case when you know you did it own up to it. Acknowledge that you did it and stop. Start over instantly and know that you can control what you do. Don't start over the following Monday or wait until New Years Day for a fresh start, start right away. 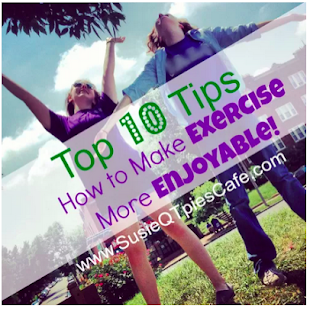 9-Join an exercise gym- See what is in your area and start with one month at a time. If they do not allow you to pay one month at a time ask to talk to the person in charge. Tell them that you are on a new healthier lifestyle journey and need to start moving and being around those doing the same. Most likely they will let you pay monthly. 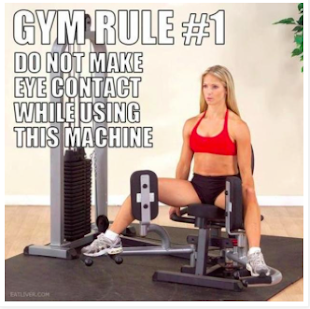 Go there and move your body 5-6 times a week for an entire month. You will want to keep going. 10-Wake up- Wake up and admit to yourself that you want to feel better. Start living your life instead of letting life live you and pass you by. I completely agree! Taking small steps are the key to long term success. Saw your post on Twitter. 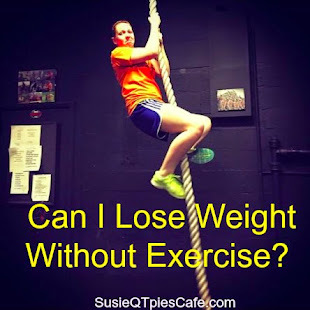 I hope you'll stop on by to my Fitness Friday for all things healthy!